The document was launched and presented to Member States for accession by H.E. 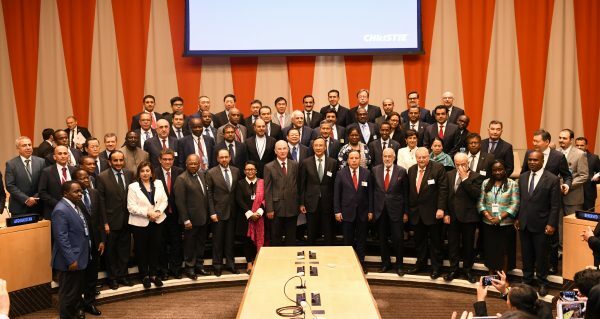 Kairat Abdrakhmanov, the Minister of Foreign Affairs of Kazakhstan, at a High Level Special Event on the margins of the General Debate of the 73rd Session of the UN General Assembly. It was consequently signed by foreign ministers and other authorized persons from about 70 countries. The Code of Conduct received wide ranging support because it recognized the inter-linkages between security, counterterrorism and development.